Our Flat Bottom Stirrup is a premium, comfortable stirrup for all types of riding. This handcrafted stirrup consists of seven layers of carefully selected laminated wood, softened edges, richly stained leather treads, and two coats of polyurethane finish. 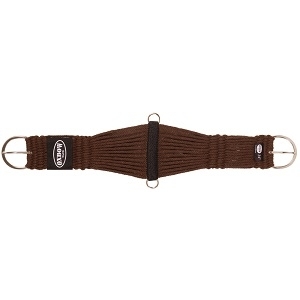 This is a great option if you are buying stirrups for a gift as these fit all riding disciplines. We carry the following: 3” Flat Bottom Oak, 3.5” Flat Bottom Oak, 2” Flat Bottom Oak, and 2.5” Flat Bottom Oak. Wool Blend with Stainless Steel Hardware. We carry 30” and 32”. 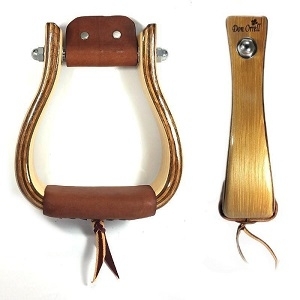 Single buckle Cowboy Slide Ear, 5/8 inch harness leather Brass buckle, string tie ends. 5/8 inch slot ear made from Hermann Oak Harness Leather. 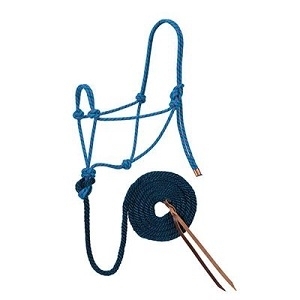 Brass buckle, string ties. Harness, Leather. 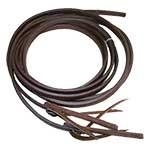 We carry ½ inch Split Reins, ¾ inch Split Reins, and 5/8 inch Split Reins. 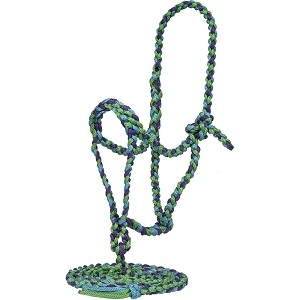 Braided nylon halter with flat nose and 10 ft lead. Mule Tape Halter with NO lead. 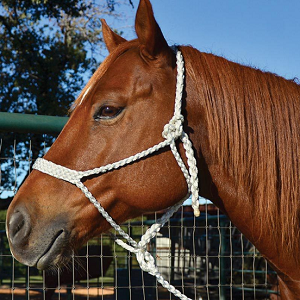 Diamond Braid Rope Halter with 10ft lead. Assorted colors. 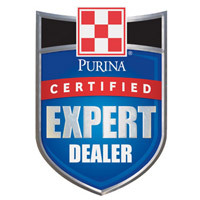 Holds two average-size flakes of hay. Adjustable straps. 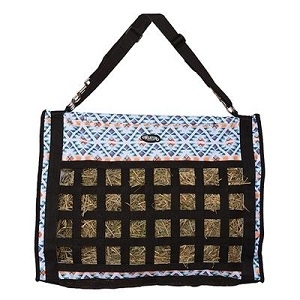 Measures 25” W x 18-1/2” H with an 11-1/2” opening mesh bottom. We carry assorted colors: Aztec Winter, Aztec Black, Serape, Mint, and Purple.